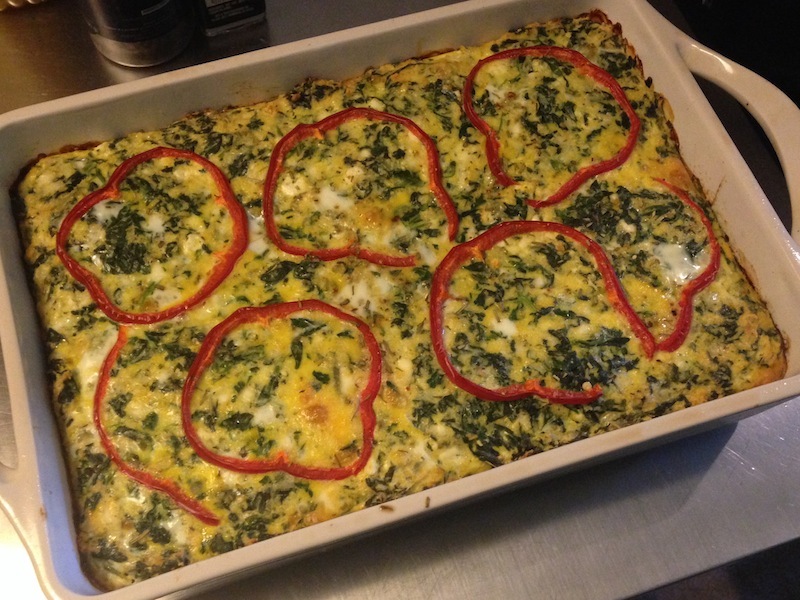 Spinach and Egg Brunch Casserole | Keep It Up, David! But I’m jumping ahead of myself. Let’s start at the beginning. My recipe is inspired by this recipe, although with changes and additions. First, I preheated my oven to 350 degrees. 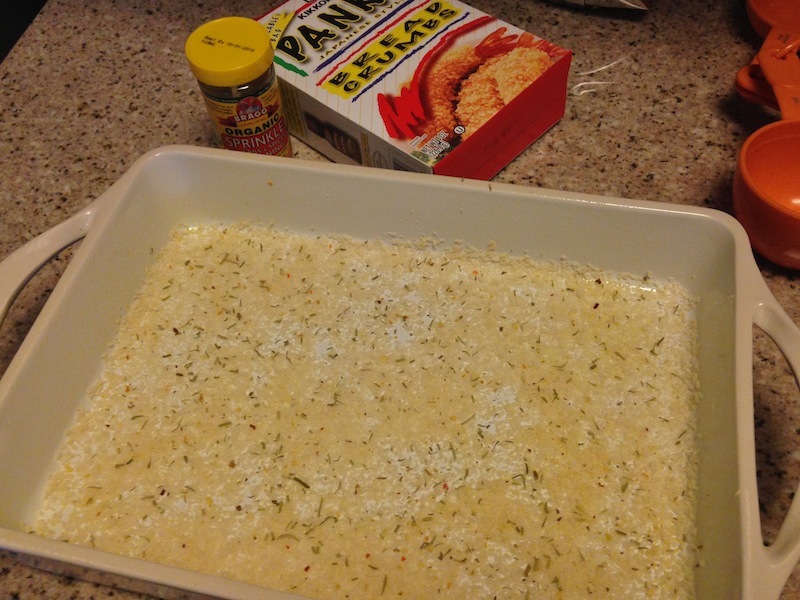 Then, I slicked my 8″ x 12″ casserole dish with cooking spray, and sprinkled 1/2 cup of panko bread crumbs on the bottom, along with a (salt-free) Italian herb blend. I toasted the crumbs in the oven (once it was pre-heated) for about 5 minutes. Meanwhile, I started making the rest. 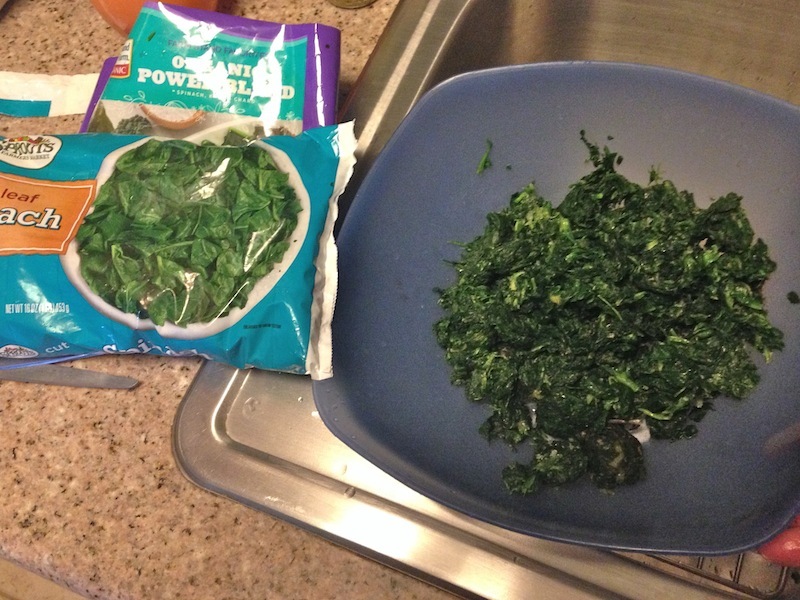 First up was draining 30 ounces of frozen spinach. Leave it in your fridge to thaw overnight and once it’s thawed, you basically have to scoop it out of the bag by the handful and squeeze it repeatedly over the sink, to get the water out. It’s kinda messy, but the best way to do it. 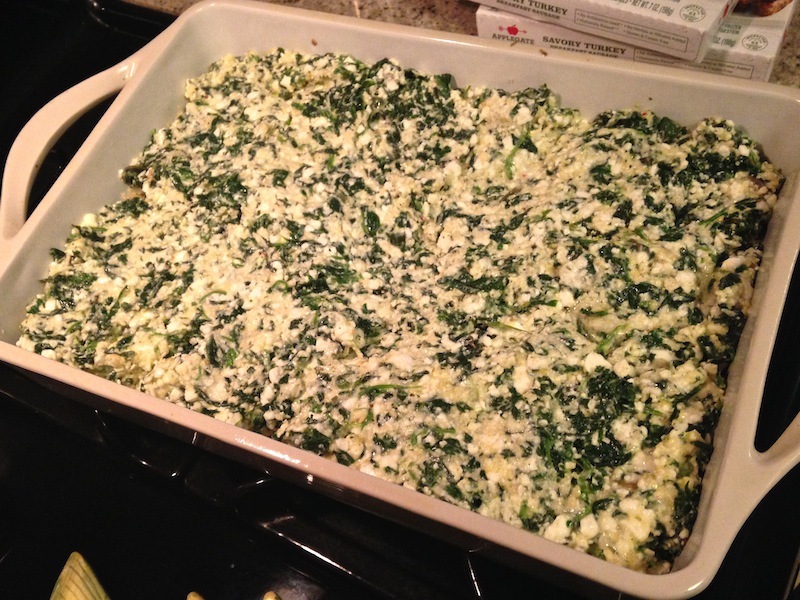 Spread this out over the toasted bread crumbs in the casserole dish. Then, beat 4 more eggs in a small bowl, and pour them over the top, and decorate with a few thin slices of red bell pepper. Then, pop it in the 350-degree oven for about 45-50 minutes! You know it’s done when a knife inserted in the center comes out clean. RELATED CONTENT: Check out LOTS of Recipes on My Recipe Page! 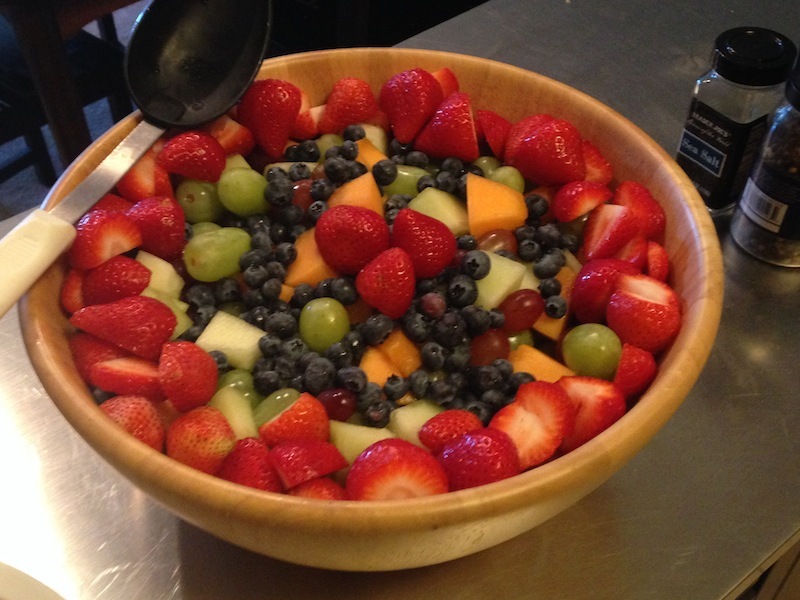 While that was baking, my sister Laura put the finishing touches on a gorgeous fruit salad. It was light, fluffy, creamy, and flavorful. 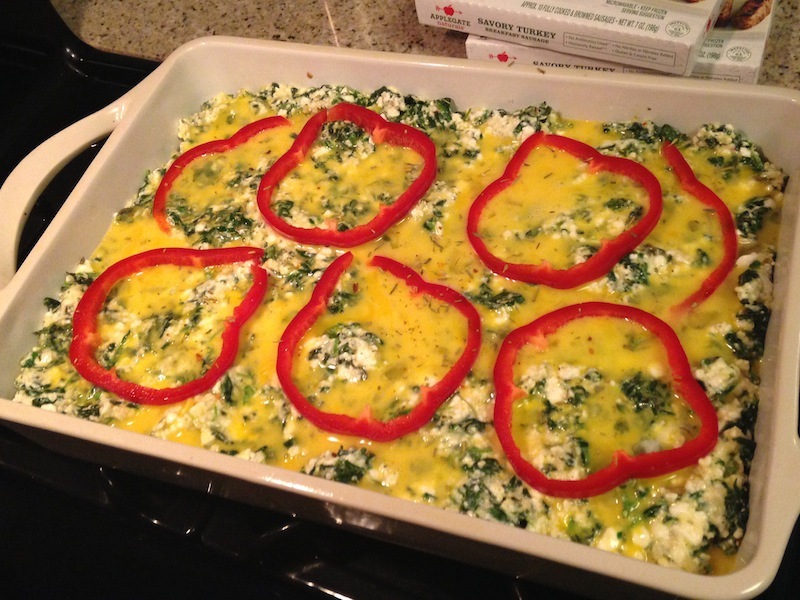 You would never guess there’s so much cottage cheese in there… or any cottage cheese, for that matter! We served it with turkey sausage links, the fruit salad, and we also had a few mini croissants and biscuits that came from the store. My sister Laura has lost 12 pounds – KEEP IT UP, LAURA! – and she’s been doing it by counting calories, so we hashed out the calorie count for the casserole. The entire pan had 2,685 calories. So, if you cut it into 12 equal squares, like we did, each piece (like the one above) would have only 224 calories. If you were to cut it into 15 equal pieces, you can get that number down to 179. 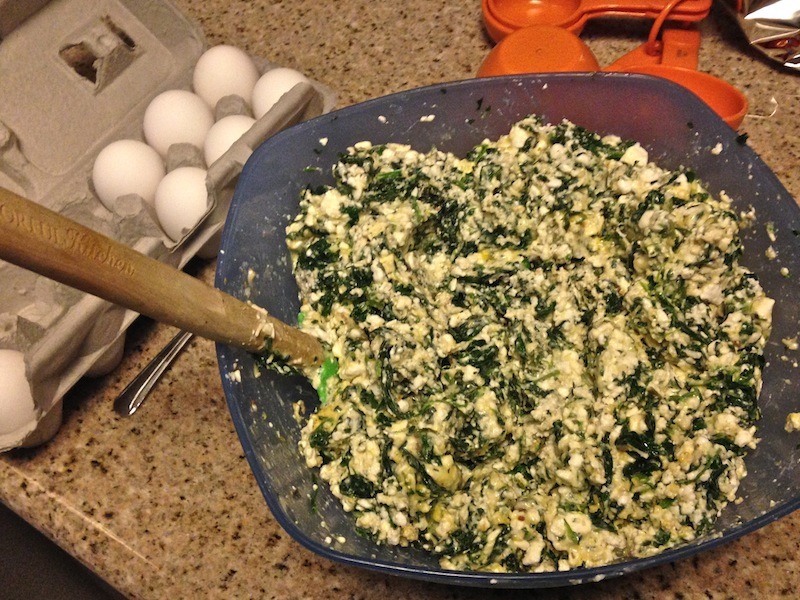 Between the eggs and cottage cheese, it has a good deal of protein, too, but we didn’t calculate that. 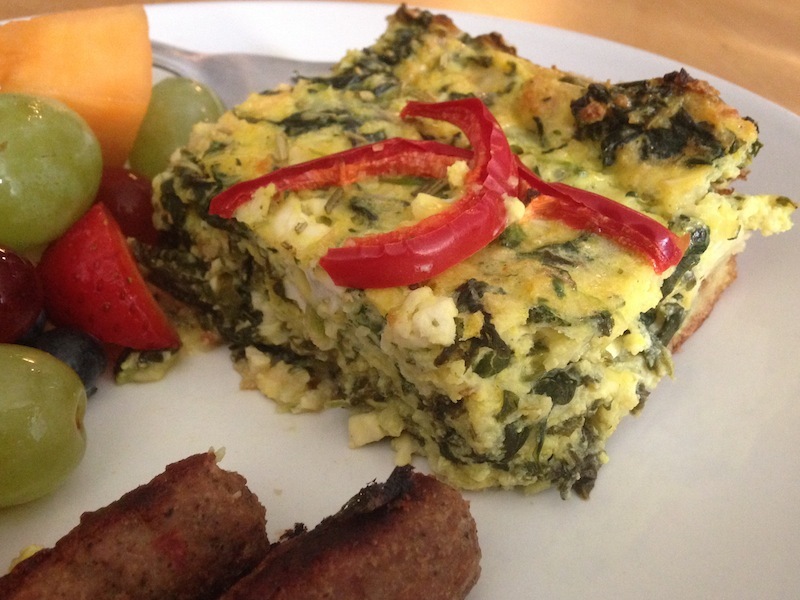 Not bad for a brunch comfort food! Coming Up in My Next Post: Three Restaurants in Two Days: Making Good Choices During a Weekend Filled With Eating Out! This entry was posted on Monday, October 12th, 2015 at 12:54 am and is filed under Uncategorized. You can follow any responses to this entry through the RSS 2.0 feed. You can leave a response, or trackback from your own site.